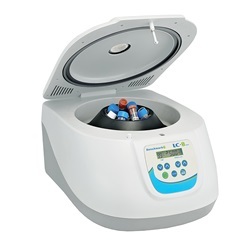 The LC-8 Plus Laboratory Centrifuge is uniquely designed to meet a wide range of applications in the research laboratory. 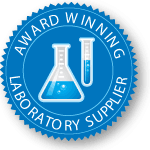 An eight position rotor is included and designed to directly accept 10ml and 15ml test-tubes (conical or round bottom), while optional adapters are also available for use with all popular sizes of blood collection and culture tubes. Unlike most compact centrifuges in this class, the rotor can be easily removed from the chamber for cleaning. Accel. / Decel. : 19 sec. / 39 sec.